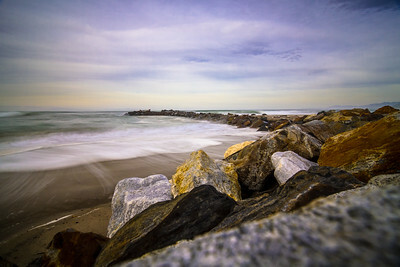 All images are available as paper prints, or ready-to-hang metal prints and gallery-wrapped canvas. 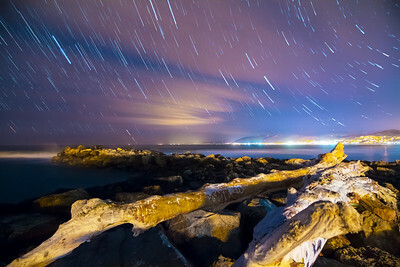 Click the shopping cart icon while hovering over an image, or click "BUY PHOTOS" to the right and explore your options! Thank you! Potential for rolling fog called me up to the back roads yesterday, however, my focus shifted as the raindrops turned to powdery flakes. 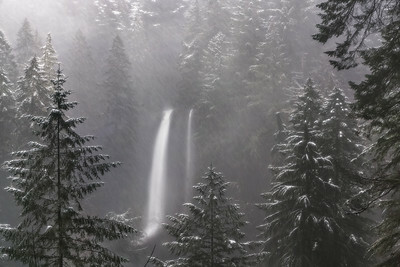 It was 11:45am, 33 degrees, this glimpse of North Falls faded in and out of clarity as snow streaked with the wind. An hour earlier this scene was merely wet and cloudy. An hour later and it was likely that much more wintry looking - although I was gone by that time. This first dusting of snow gives the park a very special seasonal allure! 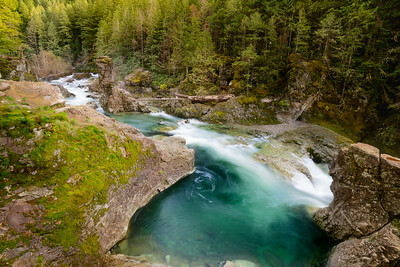 Perched atop a rock ledge around sunset in Oregon's Opal Creek Wilderness we overlook a portion of Three Pools swimming hole on the North Fork of the Santiam River in Oregon. It was cold and rainy as we bounced down a steep, rocky, and eerily foggy road in 4-wheel-drive towards a small trailhead. The trail was muddy and scattered with debris from trees shaken during recent heavy winds, but was made easier by anchored ropes to grab hold of (though just as slippery as the ground!). 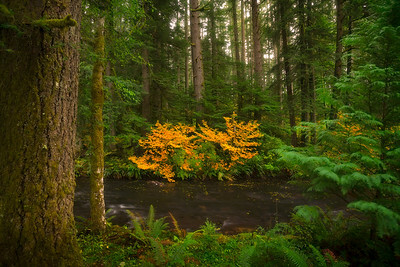 Tree cover eventually gave way to an open creek and clouds rolled overhead causing the glow of ambient light to rise and fade like a dimmer switch. 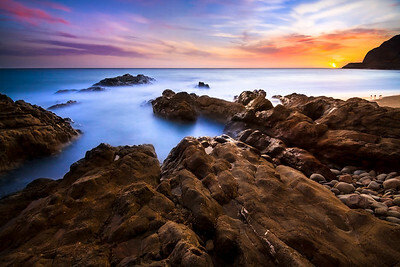 We traced the water's edge over slippery rocks and limboed under felled trees, and for what reward?! 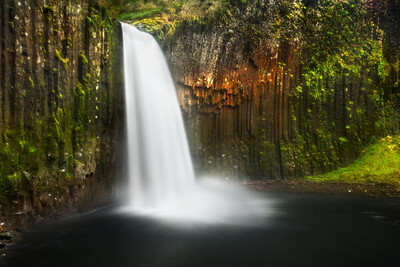 A view like this - the mighty Abiqua Falls surrounded by a basalt amphitheater in the day's fading light! While adventuring in the forest a flash of color shocked my periphery as these two radiant amber beauties burst forth from a sea of green. Seasons keep rolling along! I was photographing the sunset at Minto-Brown Island Park on a quiet, stormy evening when a bush rustled at the water's edge just a few feet ahead of me. A creature slipped quietly through the vegetation; it had black and rusty brown fur, large paws, piercing green eyes, and black ears with long tufts. 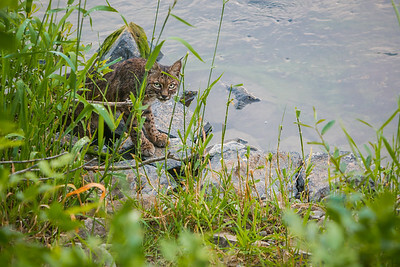 Through a gap in the plants I glimpsed a young bobcat eyeing me while sneaking upstream and disappearing into tall grass. I walked up the path and the little cat appeared again, this time it stopped to sit on a rock, have a yawn, and watch me snap photos. Quite a mellow mammal. The light faded as I watched the clouds and the feline slipped away, brining an end to our pleasant interaction. 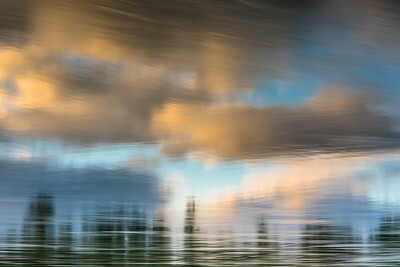 Gazing into the Willamette River at a wispy, reflected view of trees beneath illuminated clouds at sunset. 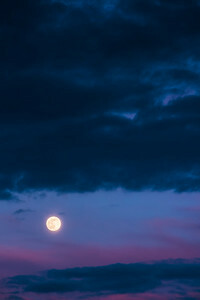 The full moon rises through light colorful cloud cover at dusk in Oregon. 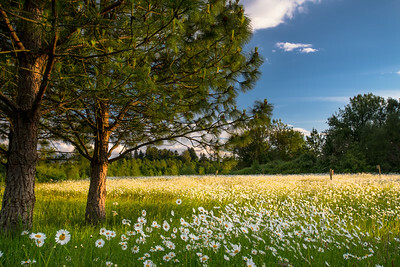 A field of beautiful daisies bathed in warm sunset light in Willamette Mission State Park, Oregon. 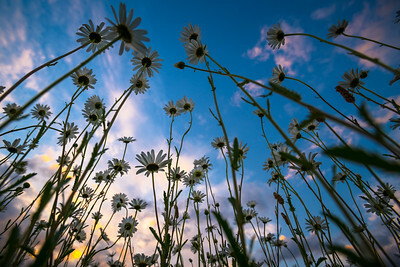 Lying in a field of daisies gazing up at a sunset sky. 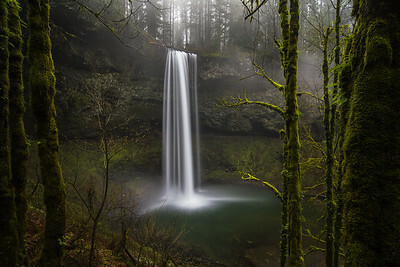 North Falls splashes down after falling 136ft in Silver Falls State Park, Oregon. 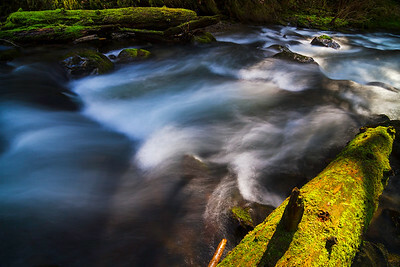 In Oregon a moss-covered log is illuminated by sunlight as McDowell Creek rushes behind through the coolness of shadow and warmth of light. 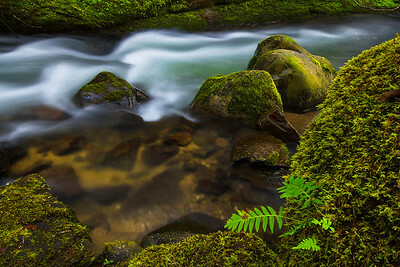 A tranquil moment with a creek flowing around moss covered rocks and logs in McDowell Creek County Park, Oregon. 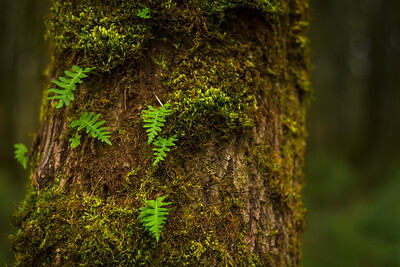 This tree in Oregon knows how to accessorize with beautiful ferns and moss. A pleasant hike through McDowell Creek County Park with wonderful weather! 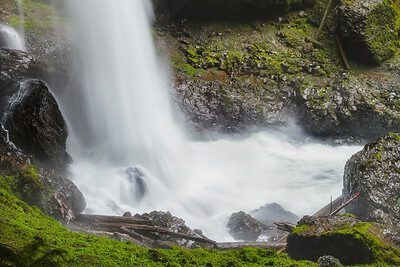 This adventure revealed new plant growth and put us face to face with Majestic Falls, a respectable 39ft waterfall - one of three on the ~1.5-mile hike! 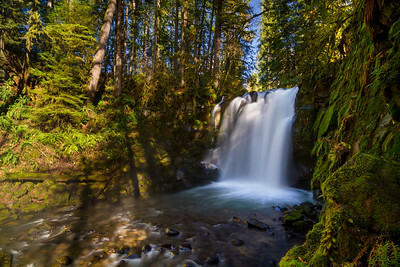 A mossy-tree-framed view of the iconic South Falls waterfall nestled within Oregon's Silver Falls State Park. A heavy fog dampened the trails but proeided a mysterious ambience to the scene. 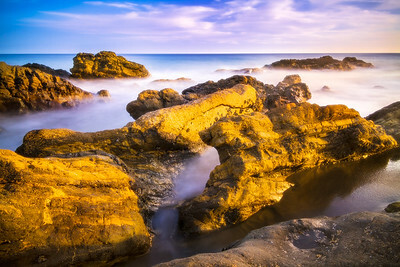 Off California's PCH in Malibu, beach rocks are illuminated by the last rays of sunlight as tidal activity is slowed to a misty halt in this long exposure image. 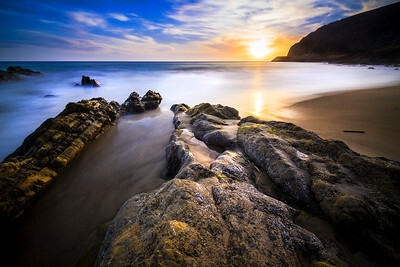 Sunset is here, but before our star dips below the horizon its last rays of light cast a warm glow upon large rocks along the California coastline sitting just below PCH. 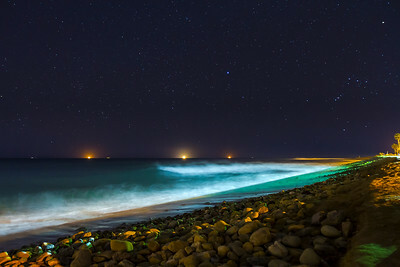 Mid-tide ocean activity is brought to a smooth tranquility through long exposure imagery. 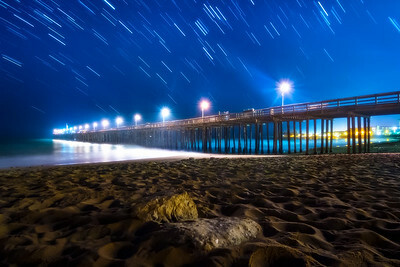 Enjoying a sandy evening on the beach next to the historic Ventura Pier in Ventura, California trailing stars passing overhead. 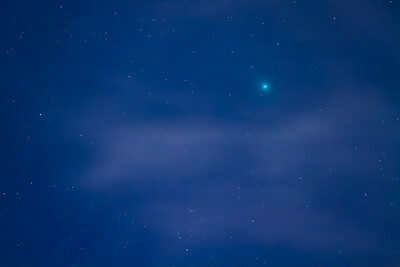 C/2014 Q2, Comet Lovejoy, seen from Oxnard, Calif., on its closest approach to Earth of 43.6 million miles. Viewed late in the evening, with no help from light cloud cover and a waning moon, through a telephoto lens on a camera piggybacking atop a telescope. 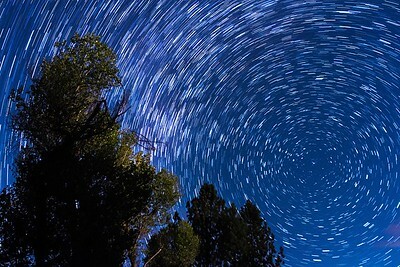 Stars rotate and trail around Polaris, the North Star, behind trees at Middle Lion campground in California's Los Padres National Forest.